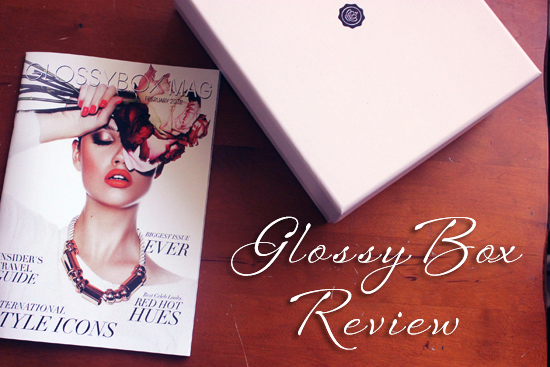 Glossybox Review + FREE OPI Polish For New Subscribers! What You Get With Glossybox: 4-5 high end, beauty products. For $21 a month, you get free shipping and 4-5 delectable beauty products to try. I’ve had two Glossyboxes delievered thus far, and each time, I received full sized products of name brands I LOVE. While other subscription boxes will either throw in a cruddy full size of some random product you never would have tried, or if it’s a notable brand, they give you a “sample” so small you can barely experience the product, Glossybox truly delivers. In last month’s box, I received a full sized OPI nail polish, and a full sized Tarte blush- easily worth $21. This month, I loved the full sized DaVinci shimmer powder (it retails for $14.99) and the Lisi Lipgloss (retails for $7). I also adore that they send everything beautifully wrapped and don’t sneak in a shipping charge, what’s not to love? Of course, there’s always one product that is delightfully surprising- this month it was the gold foil pouch you see below- the Super Aqua Cell Renew Snail Hydro Gel Mask. Yep, SNAIL. 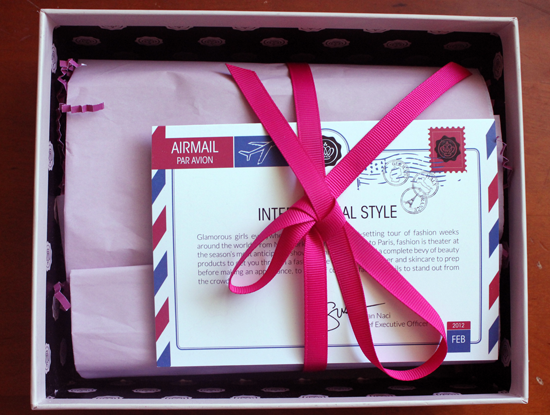 I’m oddly excited to try that one, kudos Glossybox for keepin’ it global, haha! 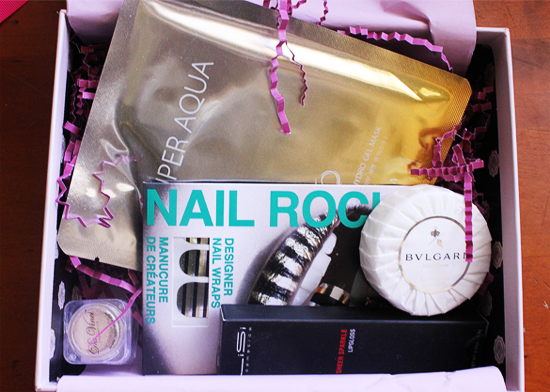 Head over to their website to snag your Glossybox subscription! Special Offer! Get a free nail polish from OPI ($9 value) with any subscription to GLOSSYBOX by 3/31! 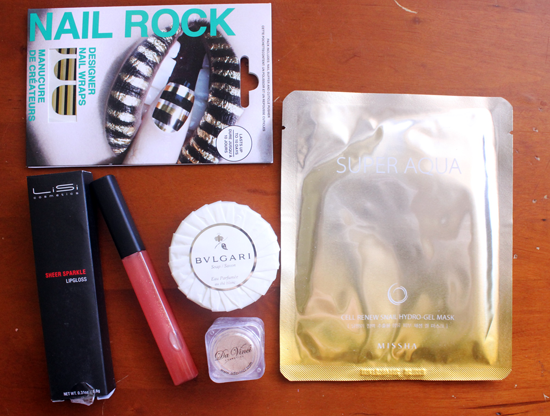 I LOVE Glossy Box… it seems to be an addiction. I started with Birchbox then it progressed to Glossy and MyGlam… haha it’s like having a Christmas every month! I LOVE OPI!! 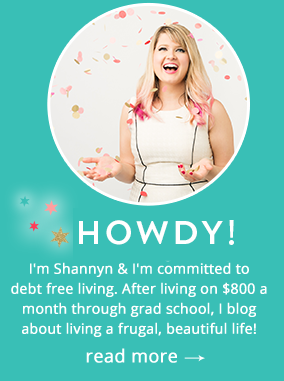 I may have to sign up to get advantage of this offer…they know how to make us sign up!!! A free polish? They know we love OPI don’t they?? ?